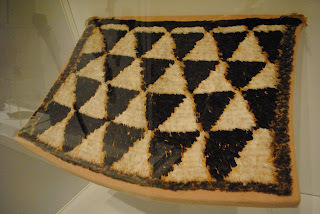 One of the exhibits at the Denver Art Museum that I visited earlier this month that caught my eye included some samples of bark cloth. 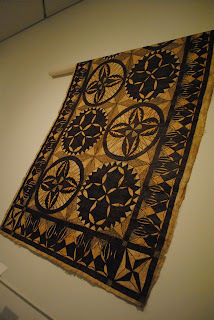 There were two examples from Samoa from the early 1900's. 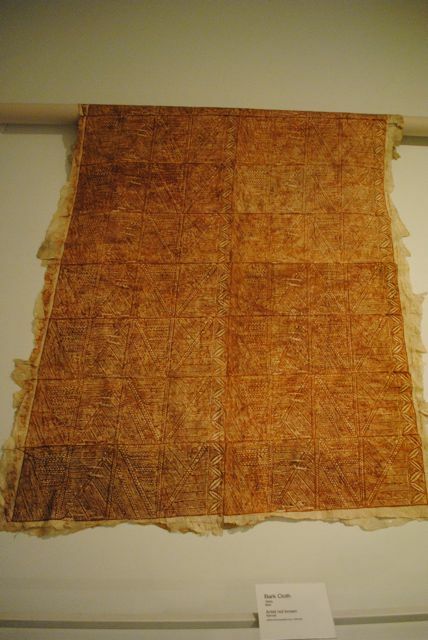 The cloth is made from the soft inner bark of trees. 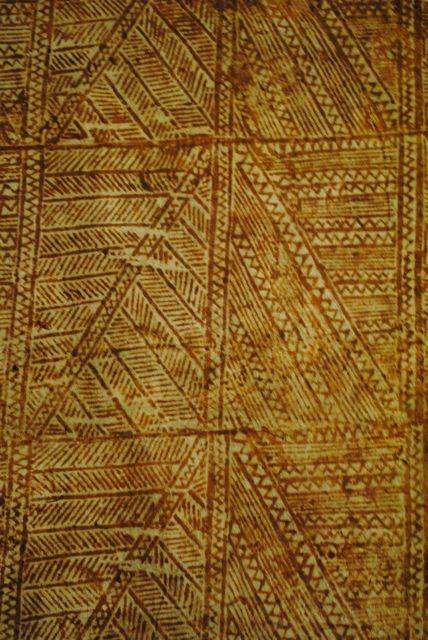 The bark, in thin strips,are then beaten until the bark is soft, supple, and wider. These pieces are then joined together. The women then either drew upon them or stamped them. 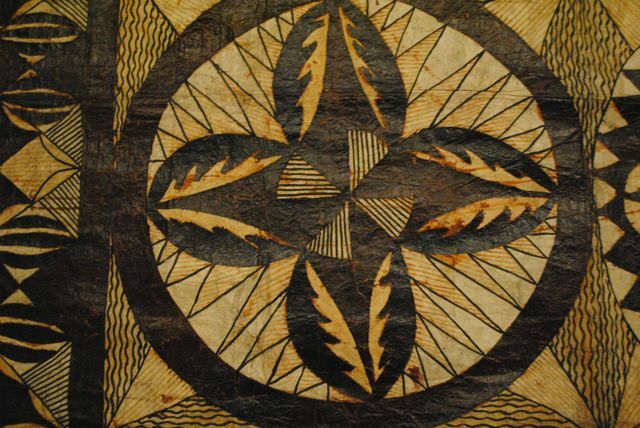 These really are similar to quilt tops, don't you think? 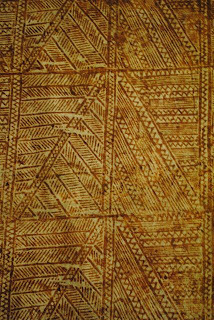 These examples were in the Oceanic Exhibit at the museum. I also found a cloak from the Maori culture in New Zealand from the late 1800's. It was was made out of feathers and flax and reminded me of quilt patterns. Would Van Gogh Have Been a Quilter? Snow's Here – How About Snow Dyeing?